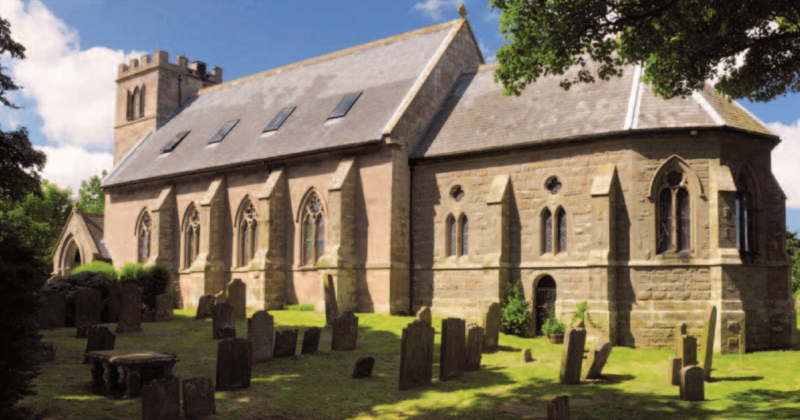 Overlooking the northern England coast sits an old church that was built in 1792. With headstones in the yard, the church sat abandoned for twenty years starting in the 1980’s. It sounds like the perfect location to shoot a scary movie – but one family decided to make it their home instead. 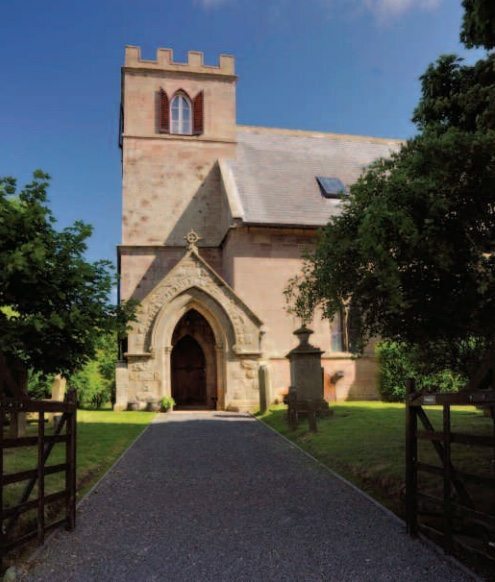 Now housing five bedrooms, two bathrooms, two living rooms, and two kitchens – the Saint Nicholas Church has been transformed into one of the most gorgeous homes we’ve ever seen. 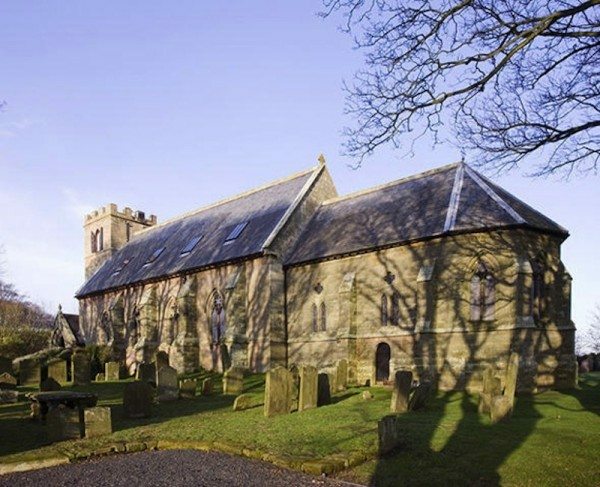 Located at Kyloe, which is a hillside hamlet, about six miles from England’s Northumberland coast, the church retains much of its exterior architectural features. However, inside, it’s hiding a beautiful, glorious secret. 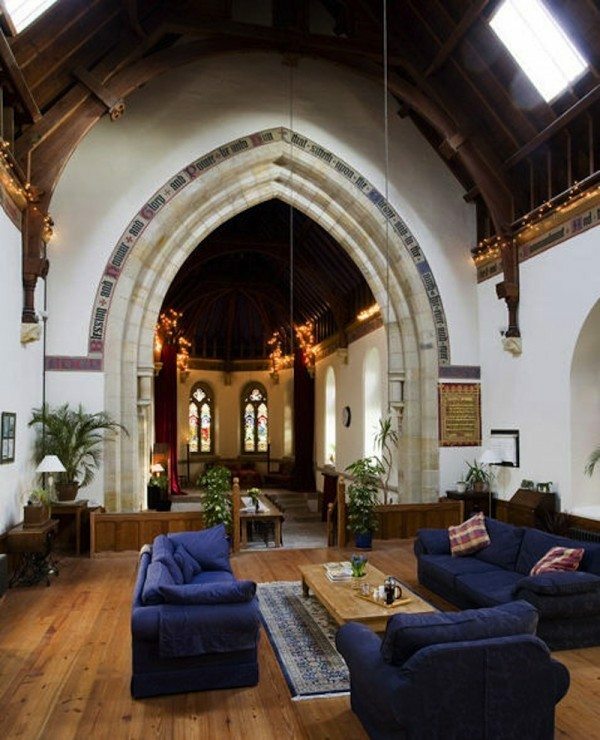 The great room consists of the living room, dining room, and kitchen – incorporating the chancel, nave, and vestry of the church. Original stained glass windows remain in the home, although the skylights were installed during the renovation. The height of the church’s ceilings was kept intact making the space still feel grandiose; however, the cozy furnishings and decor keep it comfortable. Double staircases lead up to the church house’s library and second floor. 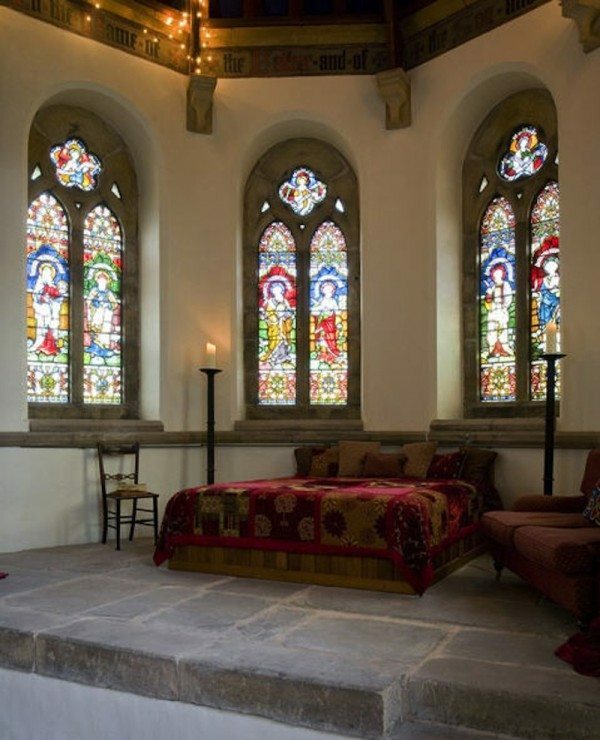 The room’s open timbered ceiling pay homage to the church’s history, as well as biblical extracts that have been written in tin all along edge of the great room. The impressive main kitchen is fit for a gourmet chef. The fabulous cabinetry was built using pitch pine which was reclaimed from old church pews and timber from the roof. 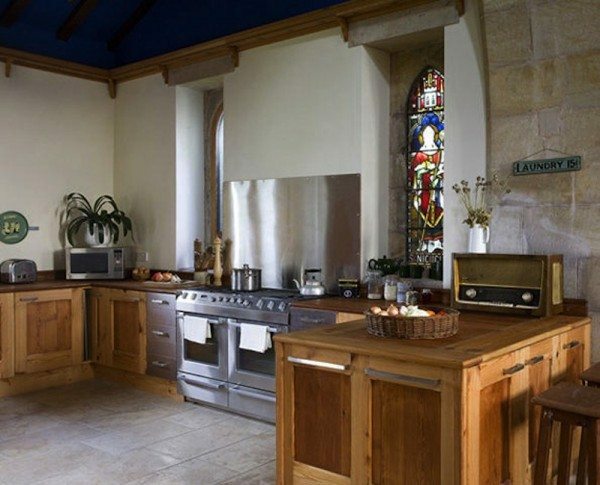 In addition to full-size gourmet appliances, the church house boasts an under-floor central heating system as well. The incredible dining room looks as if it was designed for a royal family. 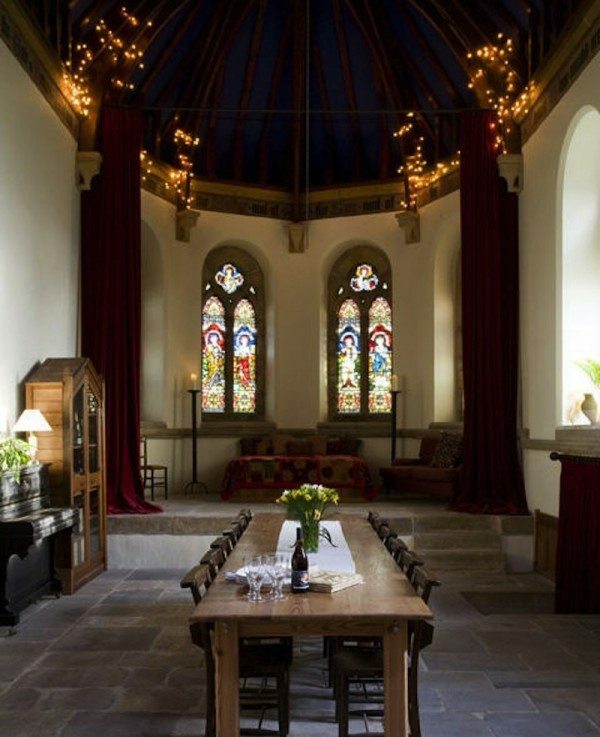 A long wooden table sits beneath beautiful glass-stained windows in this elegant room. The long red velvet curtains can be drawn to create one of the bedrooms in the home, accessed via a small set of stairs to the right. Step down from the living room to head down a hallway leading to another ‘wing’ of the home. 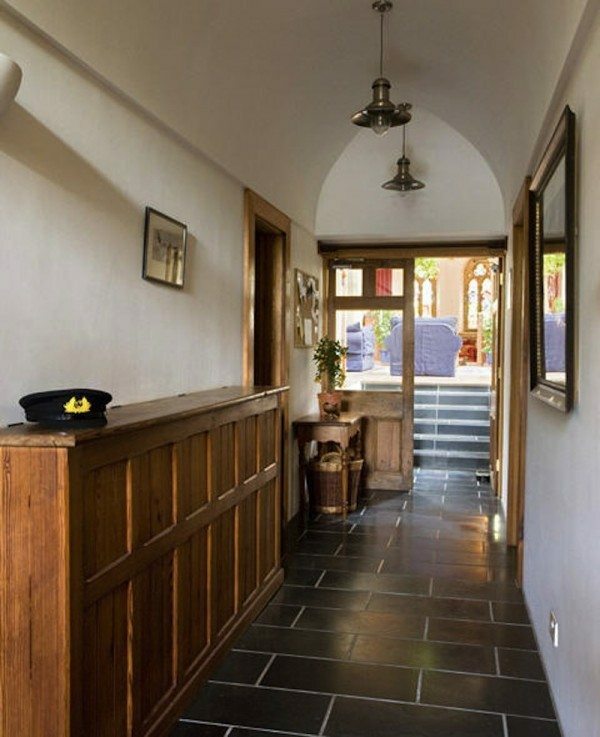 Stunning Brazilian slate flooring can be found in this hallway which leads to a winter kitchen, additional bedroom, and one of the two bathrooms. The main bathroom is by far one of the most spectacular rooms in the home. 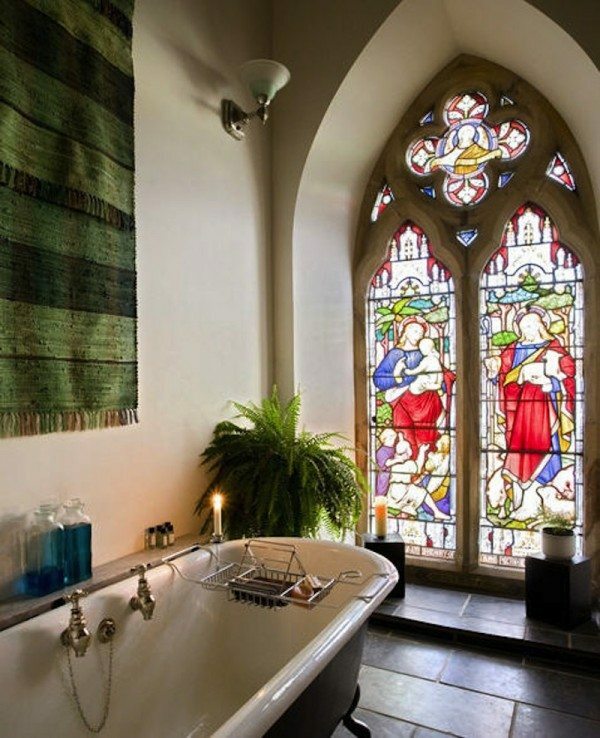 A clawfoot bathtub sits beneath a 12-foot stained glass window. Don’t worry about getting out of the tub in such a large open space; heated floors can be found in this room, along with two heated towel racks. Two more ‘mirror-image’ bedrooms can be found upstairs. 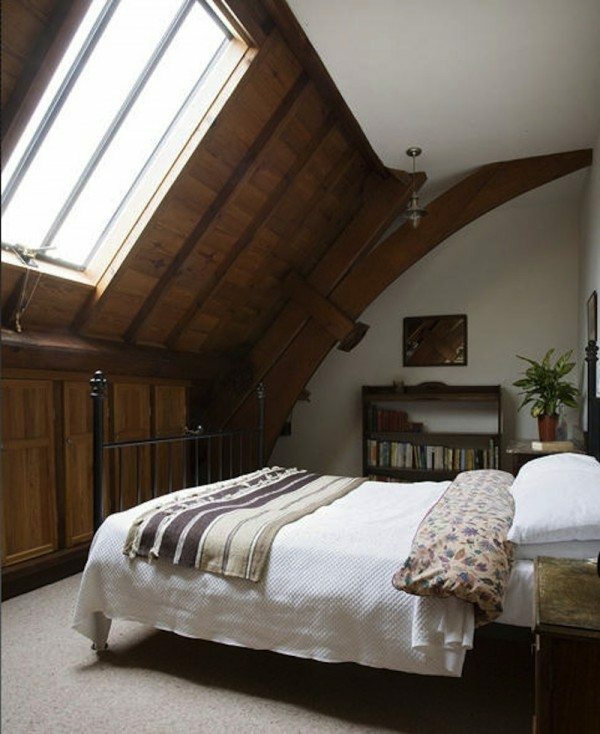 Each room features hand-built storage, skylight, and is large enough for a king-sized bed and other pieces of furniture. 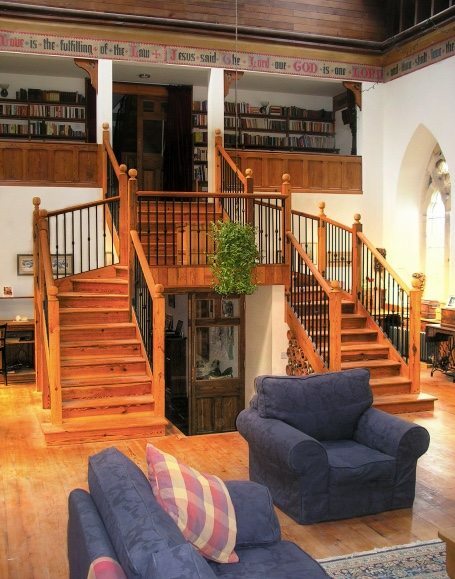 This stunning and unusual conversion is one of the most impressive that we’ve come across. 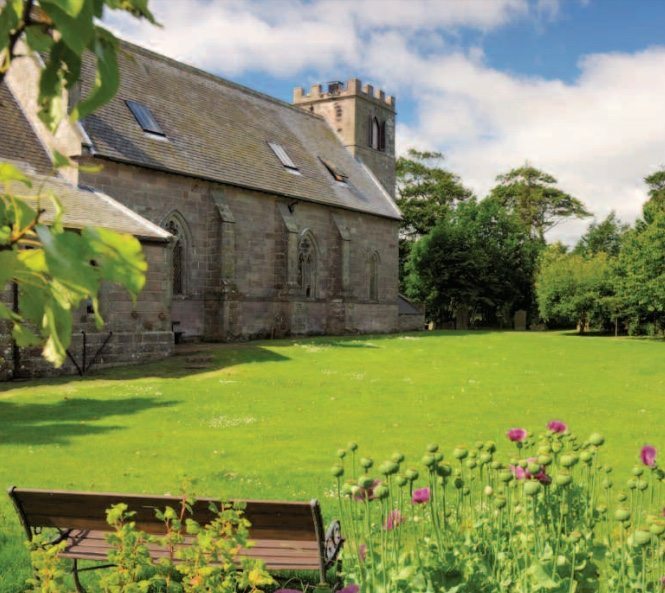 Sitting on almost one acre of beautifully manicured land – would you live in this historic church home?